Papergreat: Book cover: "The House on the Borderland"
Cover illustration: The fabulous artwork, which is much of the reason that I love this edition, is by the award-winning Ed Emshwiller (1925-1990). Emshwiller won five Hugo Awards for his science-fiction artwork in the 1950s and 1960s. ... An exhaustive summary of his artwork can be found on the Internet Speculative Fiction Database. ... Here's the coolest thing I found, though. 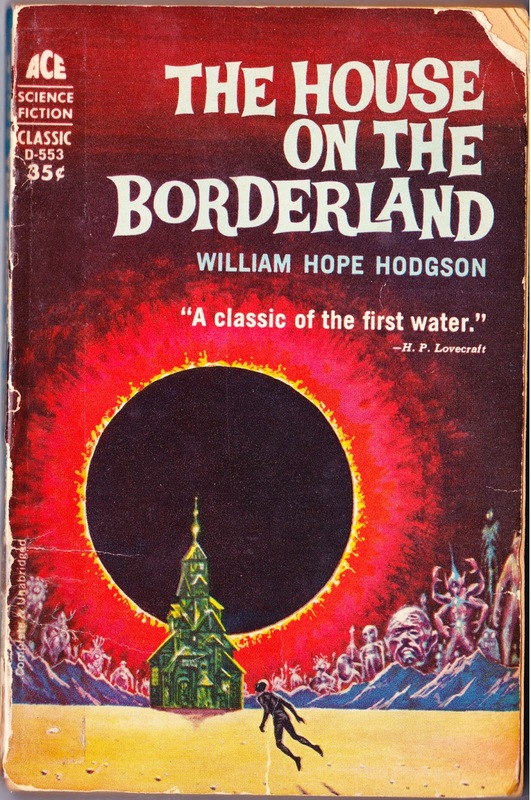 A Flickr user has posted the complete piece of Emshwiller artwork that was used for the cover of The House on the Borderland. Gorgeous! Notes: So, yes, this is my beat-up, partially taped copy of the classic weird-fiction novel by Hodgson. It was originally published in 1908, and it greatly influenced H.P. Lovecraft, among others.1 ... Beneath the title on the title page is the following: "From the Manuscript, discovered in 1877 by Messrs. Tonnison and Berreggnog, in the Ruins that lie to the South of the Village of Kraighten, in the West of Ireland. Set out here, with Notes". ... This copy runs 159 pages. ... Copies are available on Amazon starting at about $9, but if the Ace Books D-553 is what you definitely want, read the descriptions carefully to make sure that's what you're getting. There have been many editions of this novel. ... There were some rumblings last summer that an independent production company was planning to film this novel and its Interdimensional Pig Creatures (IPCs), but that might be stalled. 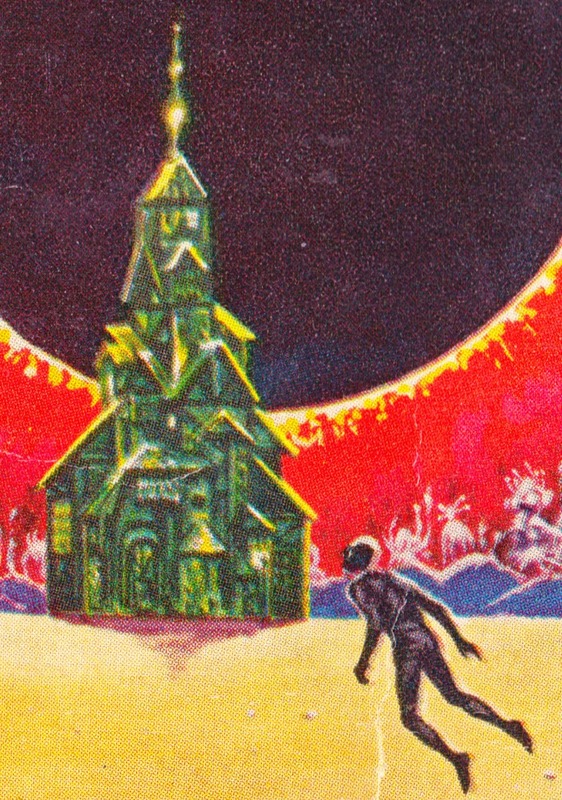 Emshwiller's depiction of the house reminds me of Norway's Borgund Stave Church, which I wrote about in March 2012. 1. For a bit of a laugh, check out this January 2013 post — Imaginary H.P. Lovecraft postcard.